Exit Clark Ave off Hwy 101, head west. Keep going under Hwy 135 into Old Orcutt. We are on the right side of Clark, just past Rick's Auto Care, across the street from Doc Bernstein's Ice Cream. 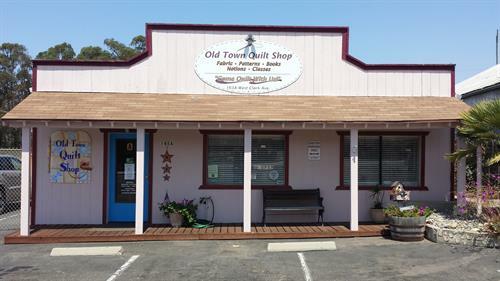 Since Orcutt is such a great destination we get plenty of out of town customers in addition to our “regulars”. What makes us so great? We have very creative staff who have made a large number of samples that are displayed throughout the shop and clubhouse to inspire you. 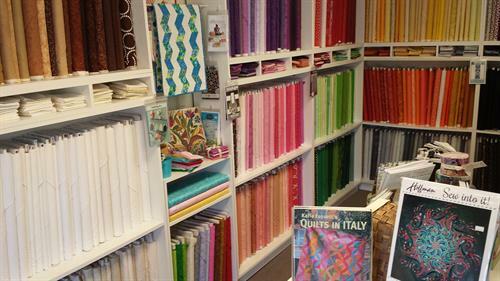 We carry a wide selection of batiks, children’s fabrics, modern and traditional fabric, and flannels. 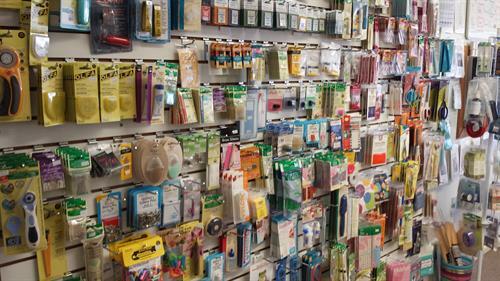 We also have a large variety of notions, books and patterns. After our friendly and creative staff, our best feature is our fabulous “clubhouse”. 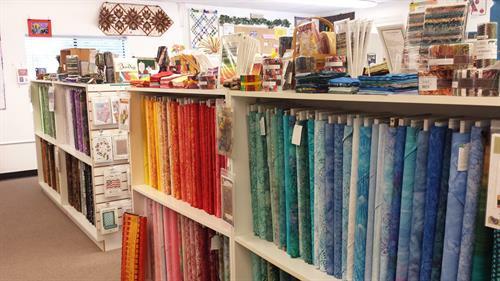 This is a large space adjacent to the quilt shop that can accommodate as many as 20-30 students for classes, guild workshops, retreats and special events. It is available to rent for groups to hold their own “sewcial” events. The clubhouse consists of one large room with tables and chairs for twenty “sewists”, a separate kitchen area with a refrigerator/freezer, microwave, coffee makers, tables and chairs, with plenty of off street parking. If you are looking for creative inspiration, try taking one of our classes. 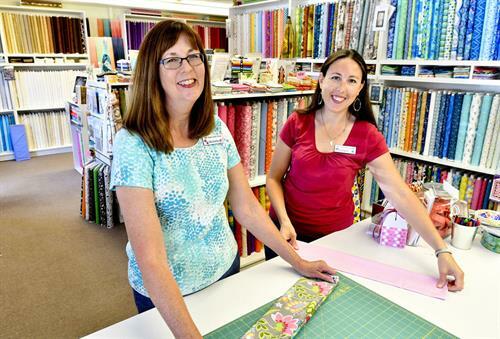 We offer a variety of classes from beginners to advanced, including applique, paper piecing, machine quilting and small projects. Be sure to check the calendar often and sign up for our newsletter!